Drew and I probably shouldn't be allowed in public. 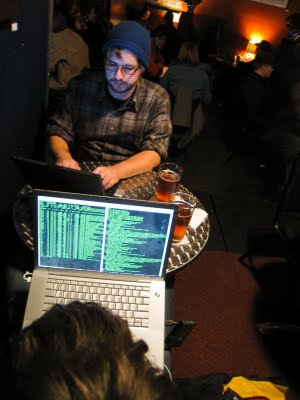 Here we sit, in a bar, doing our normal thing; laptops, beers and well.. we're dorks. Dead guy ale and thoughts of my future.